Accordingly, the group will only keep more than 50 percent of stakes at three members, and reduce its stakes in the remaining ones to less than 50 percent or even sell out. 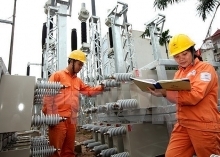 The plan, which has been submitted to the Ministry of Industry and Trade, said the group will divest from service operations by around 2020 and electricity by 2025 after completing the construction of coal-fired thermal power plants as directed by Prime Minister Nguyen Xuan Phuc. From now to 2020, PVN will focus on five key sectors, including exploration and exploitation; gas; oil and gas processing; electricity; and oil and gas services. By 2025, its focus will be narrowed to four, namely exploration and exploitation; gas; oil and gas processing; and electricity. After 2025, the group will no longer operate in electricity. From 2017 – 2020, PVN will complete the equitisation of Binh Son Refining and Petrochemical Co Ltd (BSR), PetroVietnam Power Corporation (PV Power), and PetroVietnam Oil Corporation (PV Oil). It will prepare conditions to equitise PVEP after 2020 and merge PetroVietnam University (PVU) and Vietnam Petroleum Institute (VPI) into Vietnam Petroleum Academy in 2020. Between 2021 and 2025, the group will push forward with equitisation and divestment. 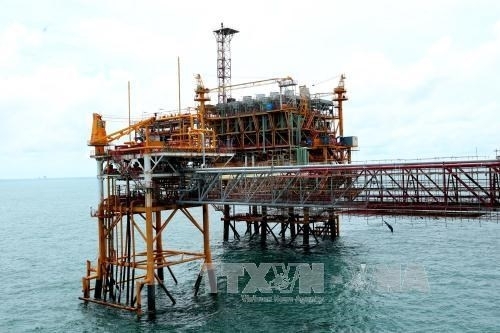 It will only maintain more than 50 percent of stake in the three following firms – PetroVietnam Exploration Production Corporation (PVEP), Vietsovpetro and PetroVietnam Gas JSC (PV Gas). Meanwhile, it will reduce its stakes to less than 50 percent each in 12 subsidiaries, including BSR (43 percent), PetroVietnam Fertiliser and Chemicals Corporation (PVFCCo), PetroVietnam Ca Mau Fertiliser JSC (PVCFC), PetroVietnam Power Corporation (PV Power), PetroVietnam Transportation Corporation (PV Trans) (36 percent), PetroVietnam Technical Services Corporation (PTSC) and PetroVietnam Drilling and Well Services Corporation (PVD) (less than 30 percent), and PetroVietnam Oil Corporation (PV Oil) (35.1 percent). PVN will offload all stakes from Dung Quat Shipbuilding Industry Co Ltd (DQS) and Petro Cam Ranh.